My top focus is on HOW TO CONNECT TO HORSE ENERGY this year. Most modern astrology has devolved into an abstract mental exercise. I myself didn’t take it seriously until I re-read a Chinese astrology reading done before Joyce and I got married, and realized, 20 years later, how incredibly accurate it was. Until then, astrology for me was “interesting mental garbage in/ interesting mental garbage out.” Readings for most people are like New Year resolutions: we think about it for a day or two, and then forget it as life’s real demands overwhelm our abstract ideas or wishes about Life. I now take very seriously the Taoist art and science of Living Astrology, which preserves the lost initiatic roots of inner alchemy. It gives a PRACTICAL way to interact with the planetary cycles that link our personal Energy Body to the Cosmic Energy Body of the stars. What is beyond the Zodiac is what underpins all astrology and karmic patterns – the great Central Sun of Oneness and pure love (called Tai Yi by Taoists). Let me emphasize the Independent nature of horse types. In China, Fire Horse female babies were often killed because they were considered too independent and so unmanageable (by men) as to be un-marriageable. I valued my former wife Joyce’s high level of independence, so I have a different cultural perspective than the Chinese. My current wife is equally independent. When astrology systems cross borders, they must adapt to new cultural values. Transition from Water Snake to Wood Horse Year is BIG! The Lunar calendar Chinese New Year (2nd new moon after Winter Solstice) starts Jan. 31 in China, and runs through Feb. 18, 2015. The Solar calendar New Year starts on Feb. 4, 2014 and runs to Feb. 4, 2015. There is a 4-day cusp between Jan. 31 and Feb. 4 where newborns may have qualities from both the departing Black Female Water Snake and the arriving Green Male Wood Horse. I recommend doing your own “welcome in Horse qigong ceremony” during the first week of the New Year to capture the billions of Asians charging it up emotionally with their festivities. Horses are skittish about Snakes, so this cusp period could be a delicate transition period for some – and possibly for the planet. My wife Jem and I got a very strong omen about this just before we did our first set of “Welcome Horse Energy” qigong ceremonies last night. Within two minutes we each broke a favorite water vessel – an antique ceramic tea cup and a glass tea decanter with a lovely yin-yang symbol on it. Were these two rare household accidents happening at random, or an omen of how the Male Yang Wood Horse Year is literally busting out of the Yin Water Snake Year container? By Tao theory of synchronicity, there are NO ACCIDENTS. As an omen, it may portend that people will be shocked by how powerful and rapid changes coming this year will “break” the comfortable patterns of their old life. (AP Report): Another bizarre omen: on the very last day of the Year of Water Snake, a California schoolteacher was arrested after at least 300 living and dead pythons were found in plastic bins inside his stench-filled home in suburban Orange County….. The Female Water Snake Year 2013 was about digging up deep unconscious personal patterns and bringing them into the Light so they can be shed, like an old skin, by our wise inner Snake. We’ve been in a re-boot and cleanup pattern for the first six Animals of the Chinese zodiac. The Yang Water Dragon 2012 year was about re-shaping our personal and collective Mythic Self. The Wood Horse of 2014, number 7 Animal in this 12-year cycle, is about kick-starting the second half of the cycle into action. The essence of Taoist self-cultivation is to harmonize with the broader cycles of change and put its Qi (chi) to work within our body and our personal destiny. We can ground the macro-cosmic Qi cycles with qigong and dynamic Taoist meditation like the Micro-cosmic Orbit. You don’t have to be born in the Year of the Horse to benefit from it – you can tune in and CAPTURE the creative horse qualities through your intent and energetic practice. Horse Qi is “in the air” this year – just start breathing it in. 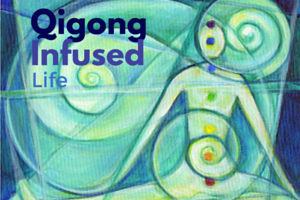 The best qigong ceremonies for capturing these large planetary energies involve facing all four cardinal horizontal directions and connecting that Qi into our body’s core channel. This in turn aligns our worldly outer life with the vertical Heaven-Earth spiritual axis. I rely on three qigong forms that best meet this criteria: Primordial Tai Chi (aka Wu Ji Gong), Deep Healing Qigong, and Shamanic Big Dipper 7-Star Stepping Qigong. 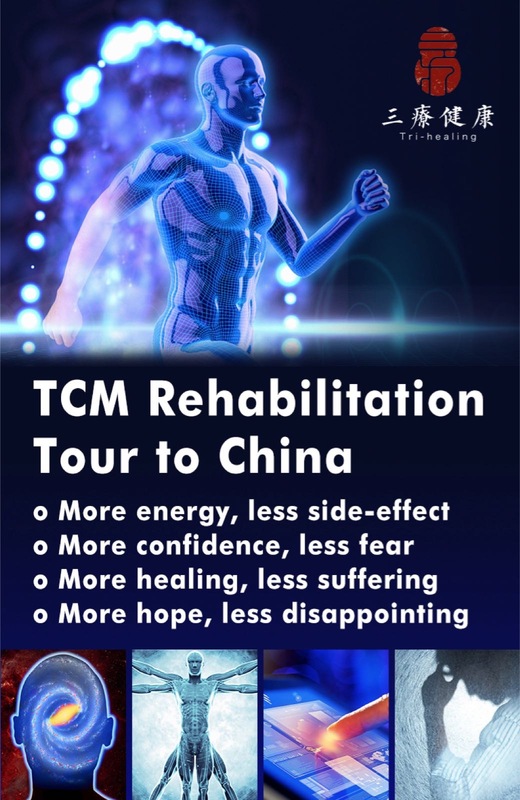 The first two are available on DVD, the last one is currently only taught to those who come on my China Dream Trip. Each works a little differently. 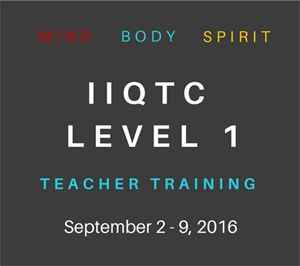 There is an acquired skill to focus the Qi they gather to accelerate your evolution. Chinese medicine has a 12-hour “Chi Clock” that describes the progression of Qi flow through the 12 major vital organ and bowel meridians of the body. (I’m interchanging Chi and Qi to get readers used to the fact they are identical in meaning and pronunciation). The Chi Clock works like a snake swallowing and digesting a meal – there is a large “lump” of expanded energy that moves every two hours from organ to organ. 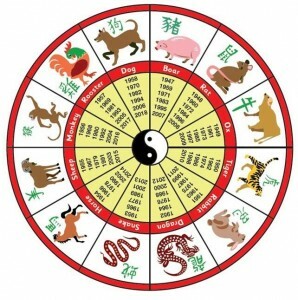 Think of the 12 Animals of the Chinese zodiac as the 12 organs of Mother Earth’s planetary body. This makes the animal zodiac – the 12 Earthly Branches – into the meridians of the planetary “chi clock.” Earth is just beginning to puts its inner mouth around the Horse lump. Every 12 years Mother Earth cycles through 12 animal-organ energies, one per year. Now we have Horse energy for an entire year. 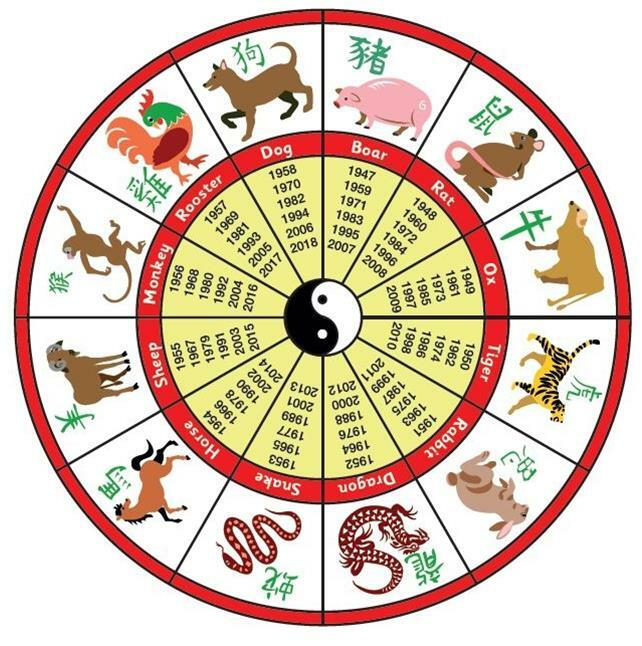 To make sure the energies are well digested, and keep our “energetic diet” varied and interesting, the Tao rotates the Five Element/5 Phase Qi from Heaven through the 12 Animal cycle FIVE times. 12 Animal Years x 5 elements = 60 year cycle. This gives each of the 12 animals a chance to experience all five elements (five, earth, gold, water, wood). This is THE operating system of Nature, just like your computer has an operating system. This natural system ensures that change (= evolution) is balanced and harmonious. If you can sense the Horse energy as the vital organ Qi from Mother Earth, it makes it more tangible. When I called in the Horse Qi during my “welcoming the New Year qigong ceremony”, I knew exactly where it is coming from and its function in the planetary psyche. In 2014, the “yang” or male Qi and the Wood element are like flavors from Heaven that color the Horse-earthly Qi. This is a big energetic “meal” to eat, and we’ll be digesting it all year long. But the key is to start inviting the Horse Qi into your qigong practice. Your yang wood qi will gradually increase. I’m feeling this Yang Male Wood Horse Qi in 2014 is essentially a Fire Horse on Steroids. Horse is naturally excitable, due to its dominant Fire element. Horse hour is high noon in the human body daily chi clock, the time of greatest fire. 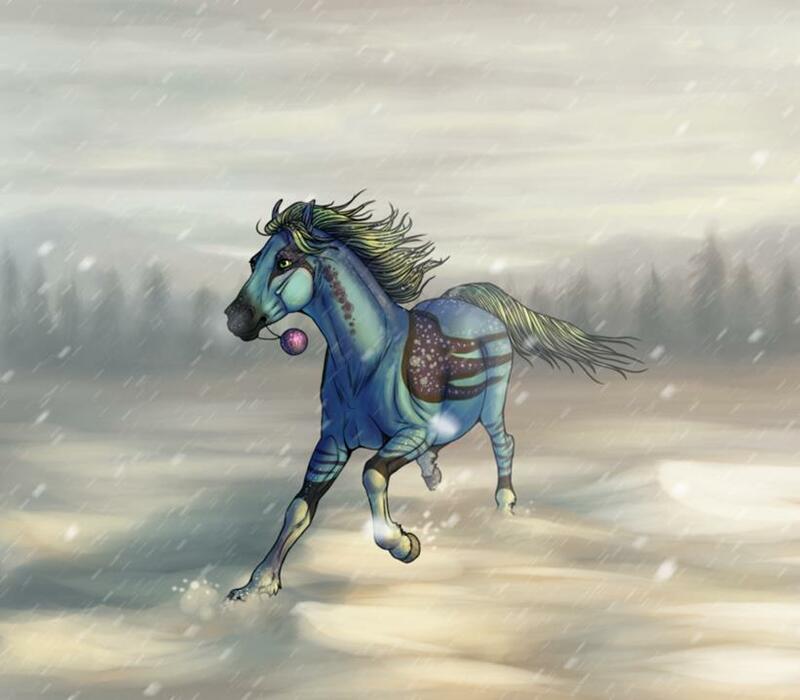 The Horse month is June in the planetary chi clock – a time of high heat and the longest day. When you feed a fire-horse Wood-element fuel, it is like pouring gasoline on a flame. Then you add Yang/male Qi into the mix, and it becomes even more volatile due to its extreme expansiveness. So that’s why I theme this Yang Male Green Wood Horse as the Year of Explosive Creativity. Horse is considered the most yang of all 12 animals. It’s a fire horse stoked up on steroids (Wood element) and Yang force as “speed” (the street drug). That makes for huge potential – both positive and destructive. In 1954, during the last Wood Horse Year, they exploded the first atomic bomb above ground on the Bikini Atoll. In 2014, it could be the global economy or some major government that blows up. The 2014 horse energy is amplified by the galactic cycle that we are in, just two years shy of finishing our 36 year journey across the dark rift of the Milky Way’s Galactic Center that began in 1980. That empowers this Creative Horse energy with super-charged potential on a collective scale. Michael Winn is the founder of Healing Tao University with 30 Tao summer retreats in Asheville, NC and is the past President of the National Qigong Association. 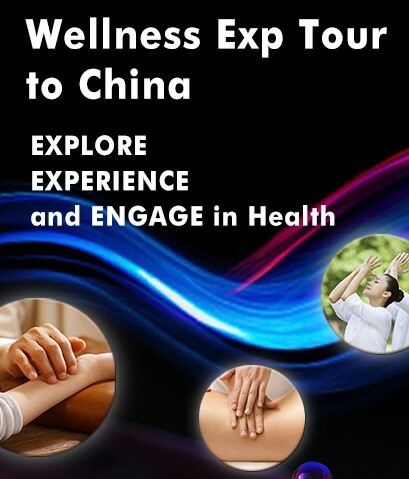 Michael has over 30 years experience in Taoist arts and leads an annual China Dream Trip. He has co-authored 7 books with Mantak Chia, and is also the author of 10 Qigong and Inner Alchemy home study courses, as well as a free e-book, Way of the Inner Smile. All are available on www.HealingTaoUSA.com or call: 888-999-0555. This entry was posted in Chinese Astrology, Daoism, Qi Cultivation and Dao, Yin Yang and tagged astrology. Bookmark the permalink. Very interesting…never realized that the Horse has the most yang energy of all of the animals. That helps explain some of the mystery.